Fans of WJCT-FM and travel, do we have a treasure hunt and getaway deal for you. Melissa Ross, host of First Coast Connect, and I invite you to join us for the First Coast Connect Treasure Hunt Friday and Saturday, February 19 and 20, at the new Westin Jekyll Island Hotel. Our getaway begins Friday night with a welcome wine tasting hosted by Melissa and I at the hotel. Saturday morning, Melissa and I lead a treasure hunt and we all celebrate our findings with a three-course dinner and a glass of wine at The Reserve that night. 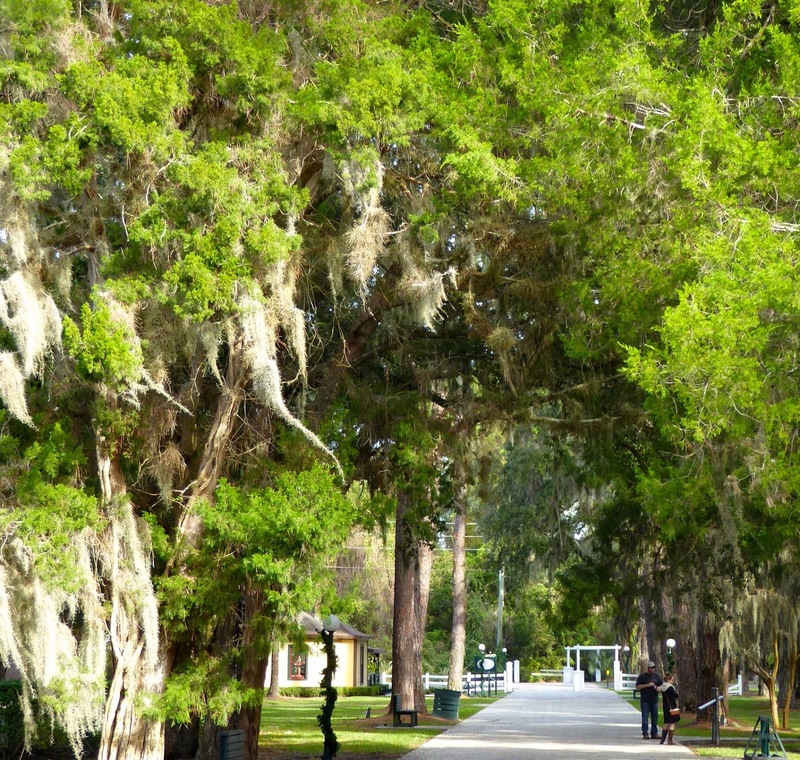 In between, enjoy the hotel and explore the history and beauty of Jekyll Island, once a millionaire's retreat. 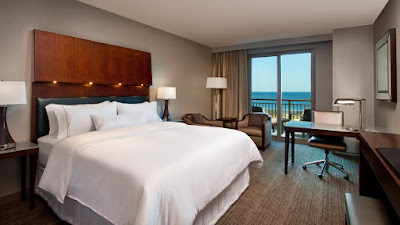 • All for $399 double occupancy, $349 single. • And - drum roll - the Westin donates $8.98 to WJCT-FM for each reservation. Each year, from January through February, the Jekyll Island Authority hides treasures, handcrafted glass globes, throughout the island for visitors to find and take home as unique souvenirs. 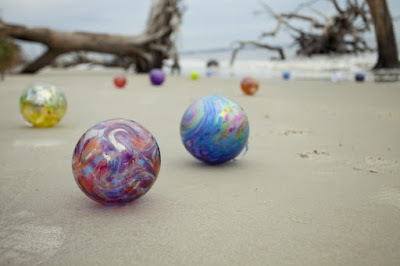 The globes are elegant reminders of the glass floats used on fishing nets for centuries and by fishermen along the Georgia coast in the early 1900s. The ones that broke away and floated ashore became beachcombers' treasures. Melissa and I would love for everyone - including us - to find one, but there are no promises. After all, it is the illusive that we treasure most. To reserve your First Coast Connect Treasure Hunt Package call Shakira Walker, 912-319-2855. The Westin - it is pet-friendly, by the way - has 200 rooms and we would love to fill them all. Roseate spoonbills. Photo © by Judy Wells. Marshes here are the nursery for hundreds of species from shrimp to roseate spoonbills. The Atlantic Ocean offers a never-ending entertaining spectacle and the Intracoastal Waterway is a liquid highway for boaters and fisher folk. Atlantic Ocean and Westin pool. Massive, moss-hung oaks arch overhead offering shade on hot days, perches for songbirds and romantic nostalgia. 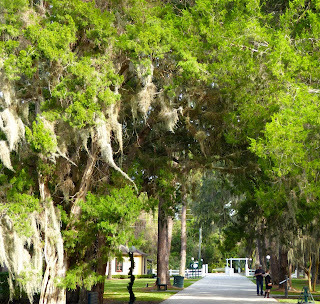 Along the oceanfront, the oaks are small, intriguingly tangled in a maritime forest. In one stretch of sand, appropriately dubbed Driftwood Beach, skeletons of past maritime oaks provide backdrops for brides and grooms and irresistible angles and shadows for photographers. Cypresses and pines surround ponds in between. Loggerheads and leatherbacks made Jekyll Island home long before the Morgans and Rockefellers did, coming here to lay their eggs. The 19th and 20th centuries were not kind to these sea giants and in 20007 the Georgia Sea Turtle Center opened to rescue injured sea turtles and to protect the nests so that their circle of life will continue on these sandy shores. 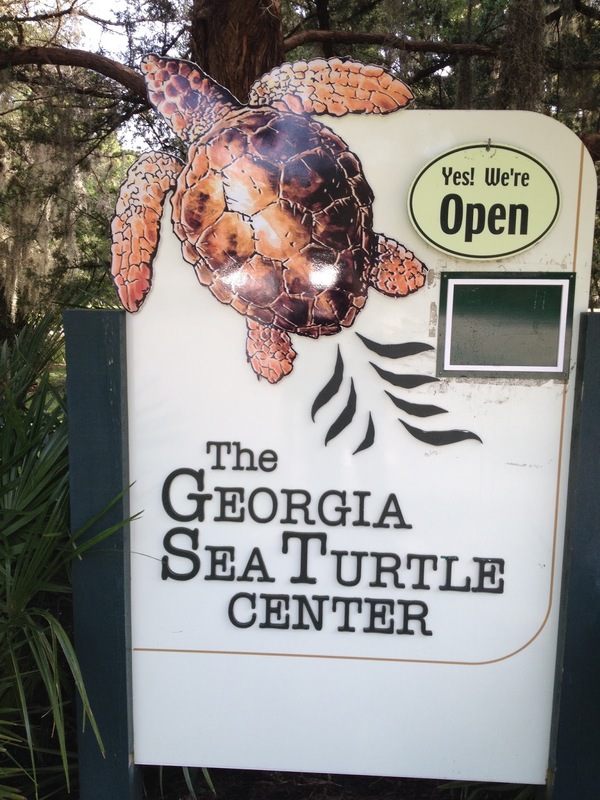 Good thing because the sea turtle has become the mascot for Jekyll Island. 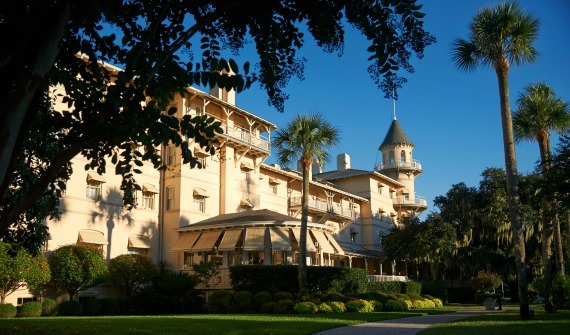 J. P. Morgan, William Rockefeller, Joseph Pulitzer, plus Vanderbilt, Goulds, Astors and a select group of other millionaire titans of American industry bought the island in 1866 and built the Jekyll Island Club as a hunting lodge. Privacy, isolation, beauty and the lure of island life kept them and their families coming back every year between New Year's and Easter until the incursion of German U-boats and World War II made it a major security risk. The state of Georgia bought back the island, turned it into a state park and today we can tour the cottages to them, mansions to us and stay or dine in their elegant club while enjoying what was once the preserve of a privileged few. Best of all, we can reach it by driving across a causeway instead of being tied to a ferry schedule. From patio to ocean, Westin Jekyll Island. 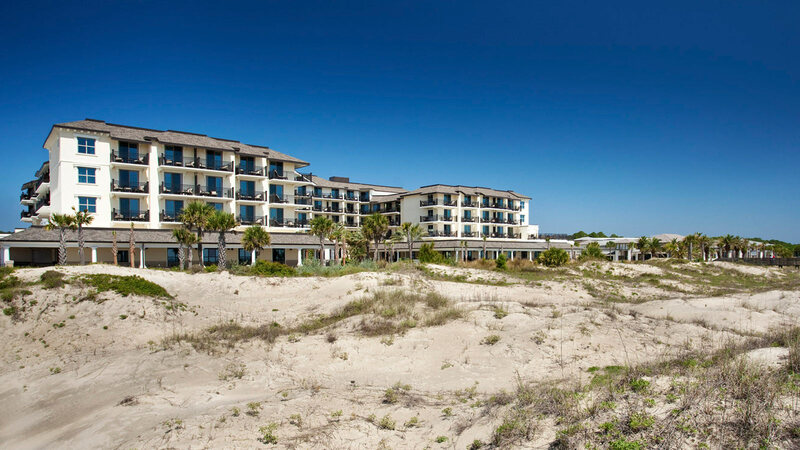 Take your pick, bed down amid the history and nostalgia of the Victorian Jekyll Island Club Hotel fronted by the Intracoastal Waterway or in the contemporary comfort of the new Westin Jekyll Island Hotel, a short boardwalk across the dunes from the Atlantic Ocean. 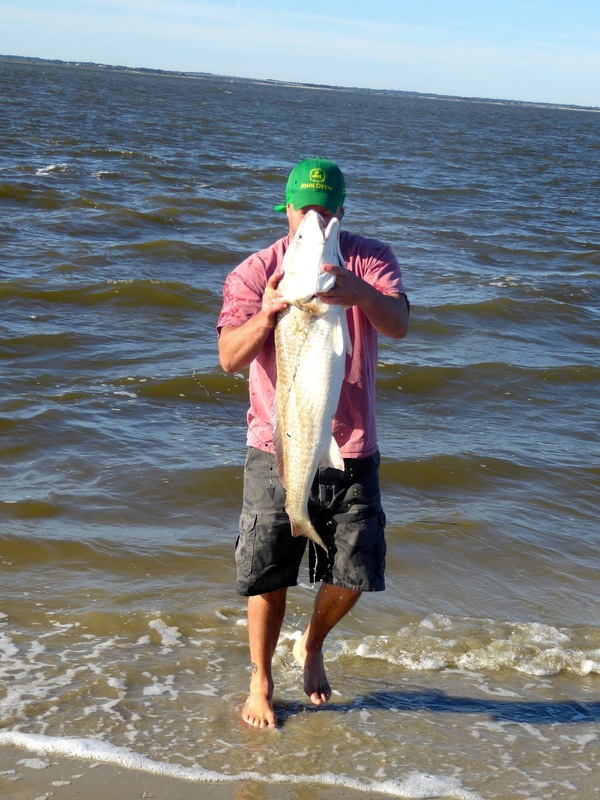 From the sports once limited to the elite - golf, tennis, horseback riding and croquet (bring your whites) - to the more mundane miniature golf, fishing, swimming, shopping, hiking, dining and just kicking back, Jekyll Island has it. Jekyll Island is in a very desirable neighborhood known as Georgia's Golden Isles just north of the Florida state line. 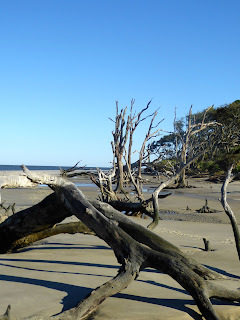 St. Simon's, Sea Island, Cumberland Island and Little St. Simon's Island are a short drive or pleasant boat ride away. January and February may not bring the best beach weather to the South Georgia coast, but the flying pest population is sharply decreased and the prices for accommodations are the best you will find. The Jekyll Island Club Hotel also offers specials in February with room rates beginning at $169 per night Sunday through Thursday, $179 Friday and Saturday. Many think a transatlantic crossing aboard Cunard's Queen Mary 2 is the ideal way to travel. See for yourself and snag significant upgrades (space available) during the month of February. 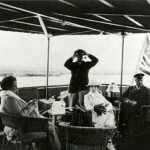 These are available also on select voyages aboard Queen Victoria and Queen Elizabeth. For details, contact www.cunard.com or your travel agent.